​We all love our pooches; they complete our families. Just like human kids, our pet dogs go notoriously vocal. It can be for various reasons like a health condition, to ward off the threat or just pure boredom. The dogs tend to express with their barks. A few breeds like Basset Hounds and Beagles love to bark and howl without any reason!! These barks and howlings annoy us easily. While few dogs can go so crazy to attract your neighbors, some others just sit and howl making you pop a headache pill! Bark collars come into picture when you are willing to counter such a situation. These are the collars specially designed for dogs to control their barking. This type of collars stop a dog from barking by giving it mild electric shock when the vocal chord generates any sounds. Not worry about the shocks, they are ultra mild. This type comes with metal prongs on the collar to provide vibration shocks. These bark shock collars work on a dual mode of vibrations and incremental shocks at different levels depending on noise levels. These are the most preferred bark collar for large dogs. This is a non-electric type of no bark collars that do not use any shocks. They work on the spray mechanism. When a dog barks, a spritz of citronella scent releases from the collar. Citronella is a scent which even in mild quantity can displease a dog of any size. 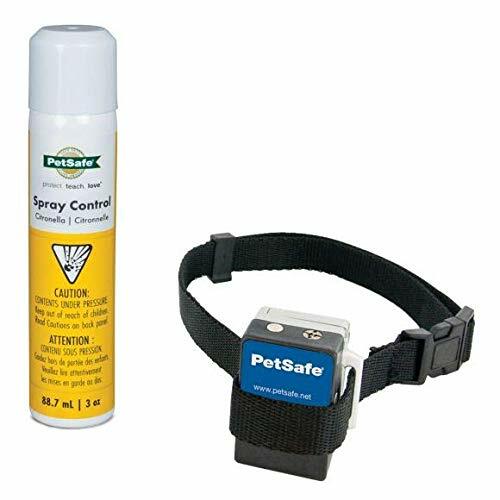 Therefore, spray collar is best to make a dog stop barking. These are the best bark collar for small dogs and puppies. If you are looking for some positive corrections method, citronella collar is best. 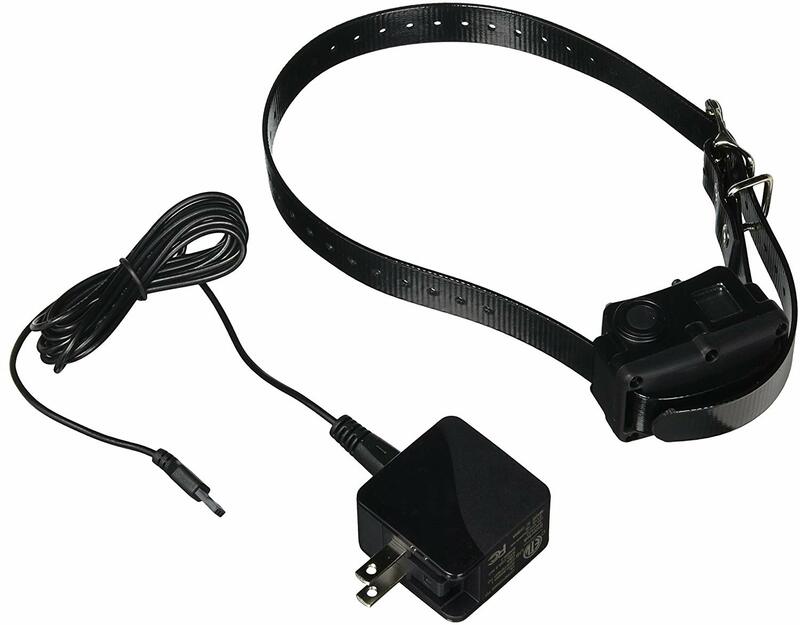 These are also a type of electric bark collar which uses only vibration mechanism for corrections. The collar vibrates at various intensities to match the dog barks to make them silent. Some of these bark collars come with remote to control the modes of vibrations and allows you to give corrections manually. This type of anti bark collars produce high pitched ultrasonic sounds unpleasant to dogs and make them stop barking. The sounds produced by this system are not audible by humans and making it very silent correction method! The Dogtra YS300 is a perfect model for small to medium-sized dog breeds which yaps a lot. 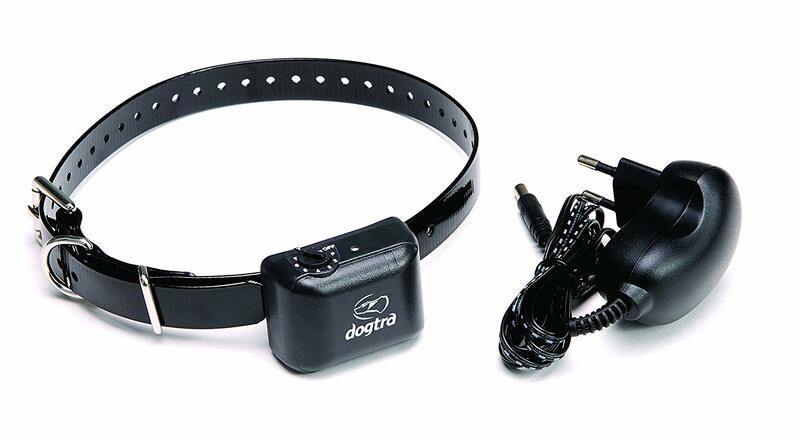 This bark collar with remote is top grossing from trustworthy brand Dogtra. Some of the useful features in the collar include, explicitly designed to differentiate the bark and regular home noise, 7 levels of shock variations and a quick charging feature which completes in just 2 hours. A low growl and a low voiced woof can be passed on this system allowing the dog to alert any danger it might encounter. With remote control supplied as an accessory, you can control the corrections as per your requirement. Remote also helps to stop the device's false correction depending on barks from nearby dogs. Those who do not want to use shock collars, this citronella collar is the best option. These collars use the spray mechanism to stop the unwanted barks. This method is safe, and the research shows no side effects, and it works positively on dogs with 88% ratings. When your pet barks, the vocal cord vibration triggers a strong mist that releases near throat area and causes the dog to have a spray shock creating a distraction. The scent, in turn, makes the dog stop barking. A single can of spray supplied with this collar promises up to 400 showers. It also comes with replaceable batteries and can sense even a small bark to correct the dog. The ones who used this collars, vouch that the product works like a charm and lasts longer. The product also comes with a large belt which is suitable for all sized dogs and is waterproof. SportDOG No Bark Collar model “10R Bark Control SBC-R” utilizes a licensed sensor to give the most reliable bark detection to users. The unit gives a shock at the contact points of the canine body, and it distinguishes both normal vocal cord vibrations like a low growl and the bark. The “NoBark 10R” model offers 10 levels of vibrations and correction shocks. The collar fits dog of all sizes and is super adjustable belt type. The ones who have used this are happy that this solved their problems while few have complaints regarding sudden shocks when the battery is low. In this bark collar, the sound vibrations of your canine's bark trigger the sensor. The collar at once directs static waves through the contact points of your dog neck once the sensor triggers. It starts minimal vibrations and increments through the available 6 levels each time the dog barks. 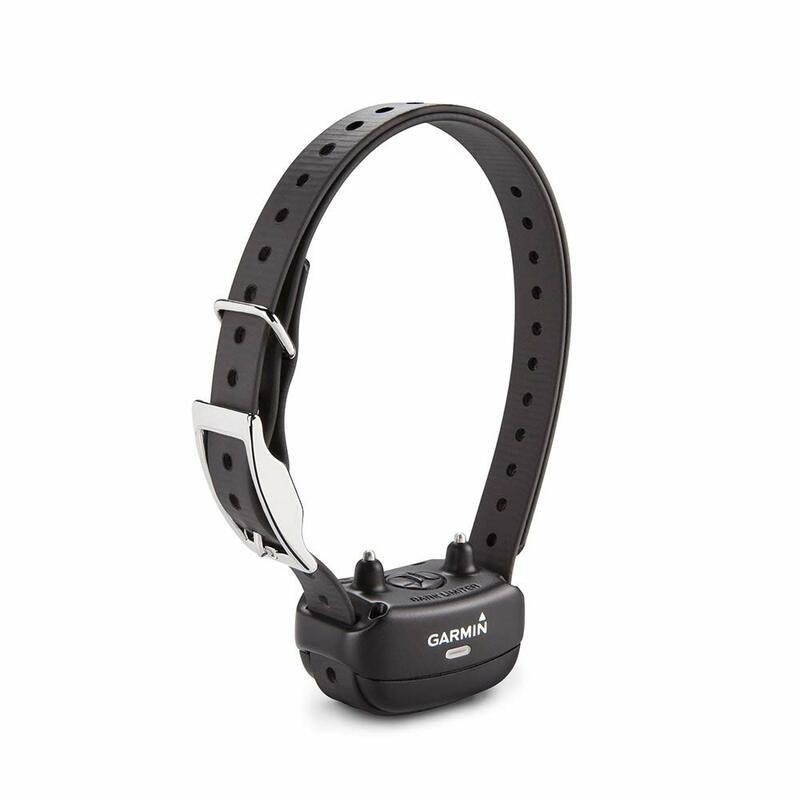 When the bark stops, this collar will reset itself automatically to the most minimal vibration level again. When the barks repeat once more, the procedure will begin once again from the lowest level. 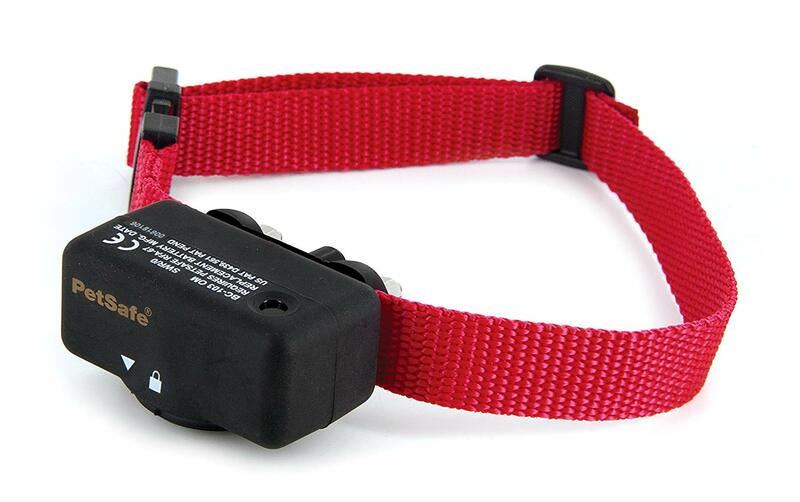 With every variation of vibrations, the beeper in collar indicates the mode changes taking place to alert the dog owner to know the level of correction given. The model is water resistant and the batteries supplied are proprietary models from Petsafe making it unavailable elsewhere. Garmin uses its advanced technology, the world's first dog training method of Tri-Tronics bark odometer in this Bark Limiter. It is capable of differentiating a dog bark and other vocalizations of dogs. The collar will sense the vibrations in dogs throat while barking, to start the corrections. This bark limiter also has a feature of the automatic rise of correction shocks as well as manual settings. In automatic mode, the sensor increases the corrections as per the intensity of bark, while you can prefer a manual way to stick to the lowest or your desired level of vibrations and shocks. There are much harmless time consuming, dedicated training methods to stop unwanted barks. However, using a collar does not make one feel guilty, but allows them to tackle the problem with a proven methodology. If one decides to buy a collar, we would definitely give our thumbs up to Dogtra brand YS300. It comes with a remote control which keeps the situation in control instead of getting paranoid when the collar gives false shocks to dogs.